Description - Brrr...it's cold in here! I wonder why? It's because you have cold tile in your home. 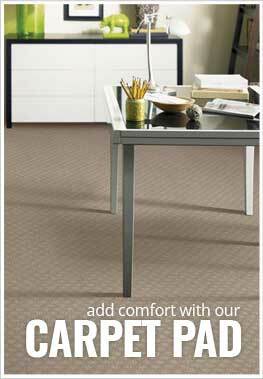 Why not warm up with Phenix's Bleeker Street carpet. Soft, comfortable, and durable, this unique tonal patterned carpet is the perfect flooring option for any room in your home. Great for living rooms, bedrooms and family rooms, your family will finally feel sanctuary from the cold, dark winter. Resistant to staining, soiling and pet urine make this carpet great for any growing family. No more having to put Fido outside! Backed by a lifetime warranty, Phenix Bleeker Street carpet is certain to look great for many years to come. Material - STAINMASTER® PetProtect™. 100% SuperiaSD Solution Dyed BCF Nylon 6,6. Face Weight - 68 oz./sq.yd. Recommended Uses - Phenix Bleeker Street will provide your home with warmth and comfort and is great for any room in your home. Resistant to staining, soiling, and pet urine make this carpet great as flooring in living rooms, bedrooms, in family rooms, as basement flooring, in dining rooms, as spare room flooring, home offices and much more. Great living room or bedroom carpet. Stain, soil and pet urine resistant.